Just a quick post today. 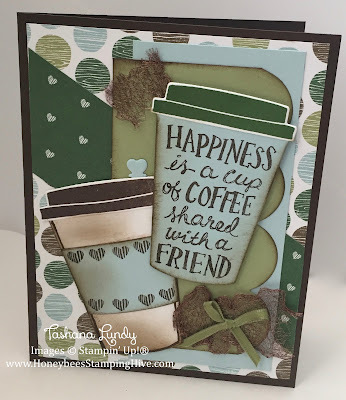 I finally got around to using the products in the Coffee Break Suite (pgs. 30-31). I made a cute card. I love the way it turned out. 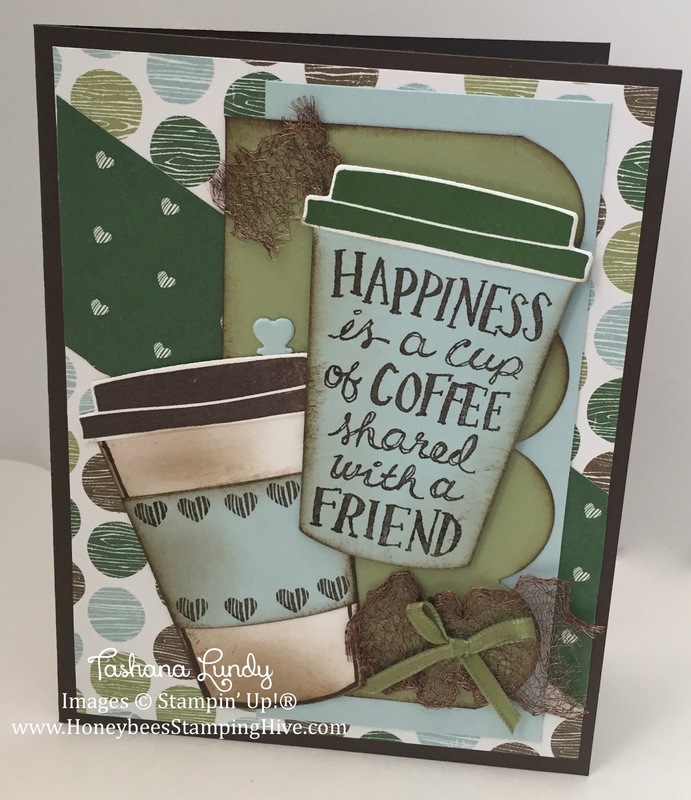 Leave a comment and let me know what your thoughts are on this friendship card. Base: 5.5" x 8.5" score at 4.25"
DSP: 5.25" x 1.5" and 5.254" x 4"
Cardstock Layers: 5" x 2.25" and 4.5" x 2.5"